Somewhere in London, in a disused railway tunnel, live a family of Crud-Munchers, so different from humans that they have to remain in disguise for fear of being detected. At all costs, they must avoid the same terrible fate that befell their relative Bertie at the hands of mad scientist Rufus Snellville. 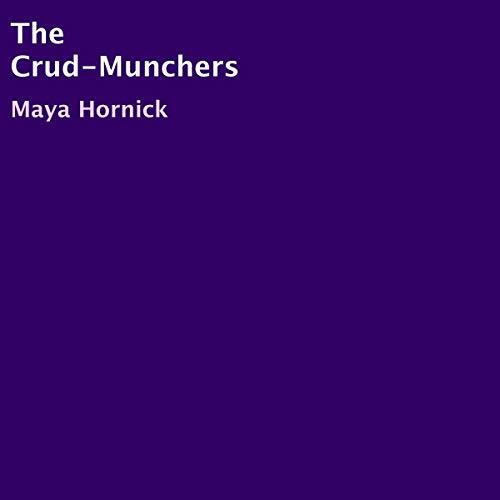 The arrival of a close-knit and misunderstood gypsy family risks exposing the Crud-Munchers' whereabouts. And meanwhile, criminal Joe Higgins plans a diamond heist that will impact all of their lives. Can Cerise, the lady in pink, save the day and will young Zoe Crud-Muncher ever find her freedom? More importantly, how will Zach Crud-Muncher ever manage to make the gypsy girl Abigail fall in love with him, when he is not even human and smells of rotten food and old socks. This book might appeal to youngsters, both human and Crud-Muncher, from around age nine onwards, and to adults who are young at heart.